Those of us born and raised in the Merrimack Valley have a few things in common: we root for all things local, we are a hearty bunch that knows its way around a snow shovel, we are innovators who think outside the box (Western Avenue Studios, Mill No. 5, Mill City Grows, UnchARTed), and coffee runs through our veins. When it comes to finding a first-class cup of java, there are some stellar options to get your fix. 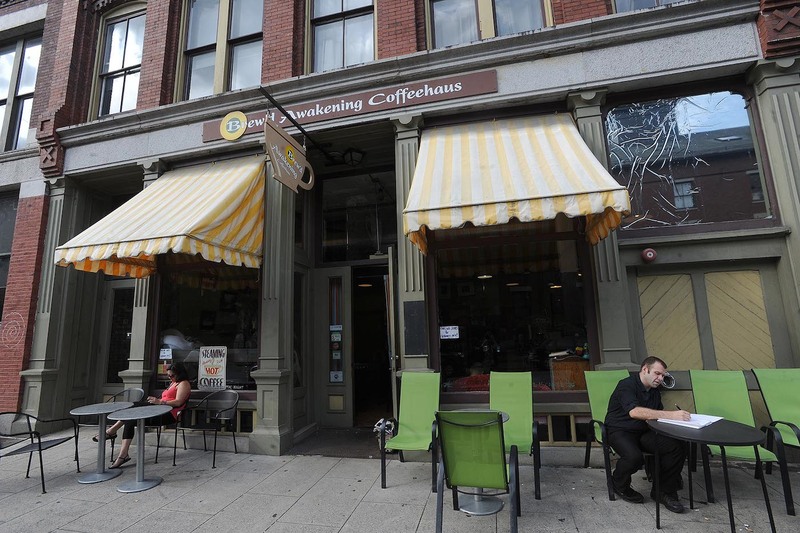 This vibrant Market Street coffee shop is filled with local art and hosts open mic and slam poetry nights every first and third Tuesday of the month. Their flavor syrup combinations are to die for – try the pistachio iced coffee. This diamond-in-the-rough destination hidden inside Mill No. 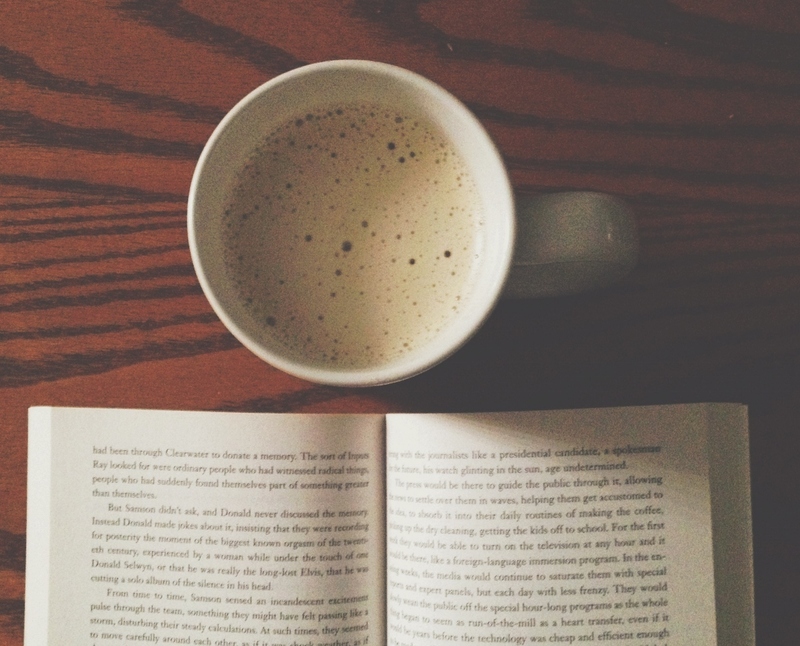 5 is a must for coffee shop loungers. With the Victorian Lounge now part of Coffee and Cotton, it’s the perfect spot to chill out with a latte, a book, and CoCo’s famous grilled cheese of the week. 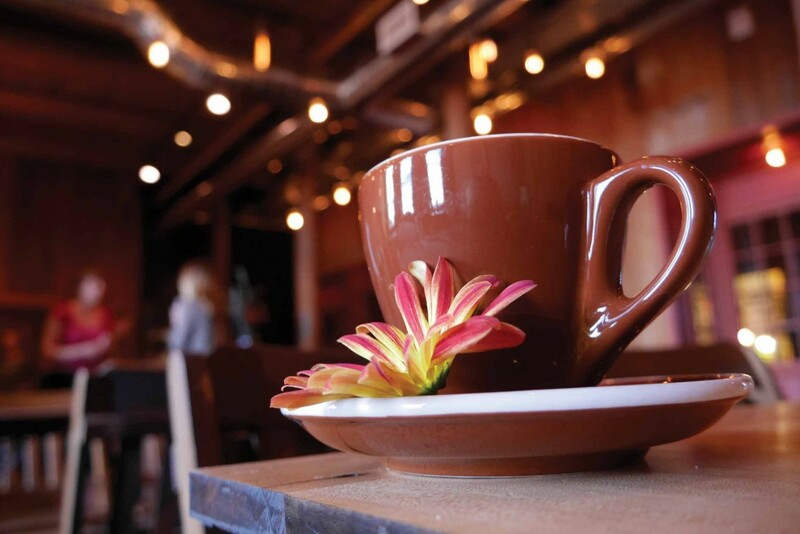 Count on the Coffee Mill for your morning pick-me-up, located smack in the center of downtown. Caffeine addicts gather for their impressive variety of brewed iced coffee, while tea lovers flock to the largest selection tea selections in the region. Not only does this Dracut cafe serve organic, fair trade coffee; they also have a menu of fresh juice, whole fruit smoothies, and even locally-made ice cream. 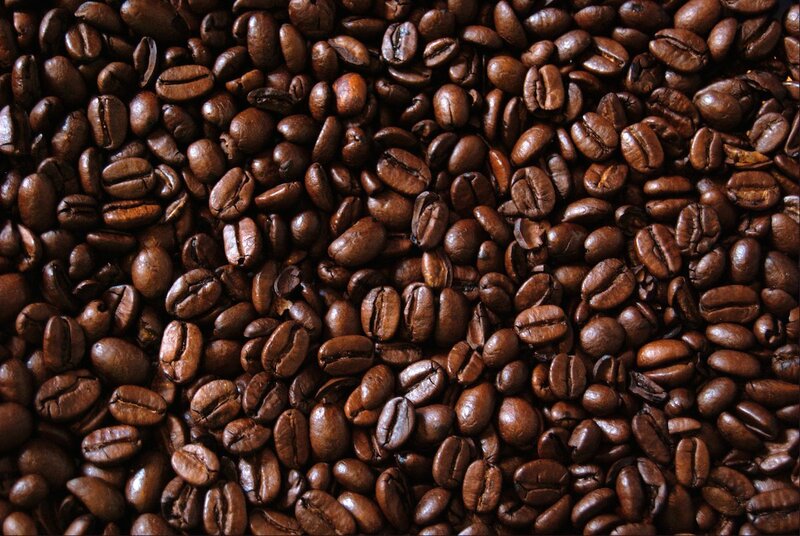 Farm-to-table fare and fair trade are hallmarks of Coffee & Cotton. Coffee and conversation is always brewing at Brew’d Awakening. Photo by Tory Germann. Rosie Suprenant gets down to the daily grind. Photo by Tory Germann. 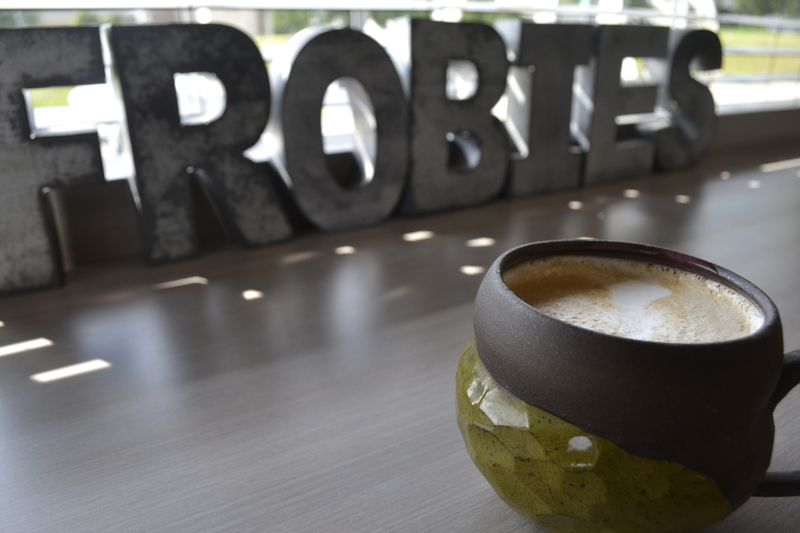 A latte at Frobie’s. The owner of the cafe makes these beautiful mugs. 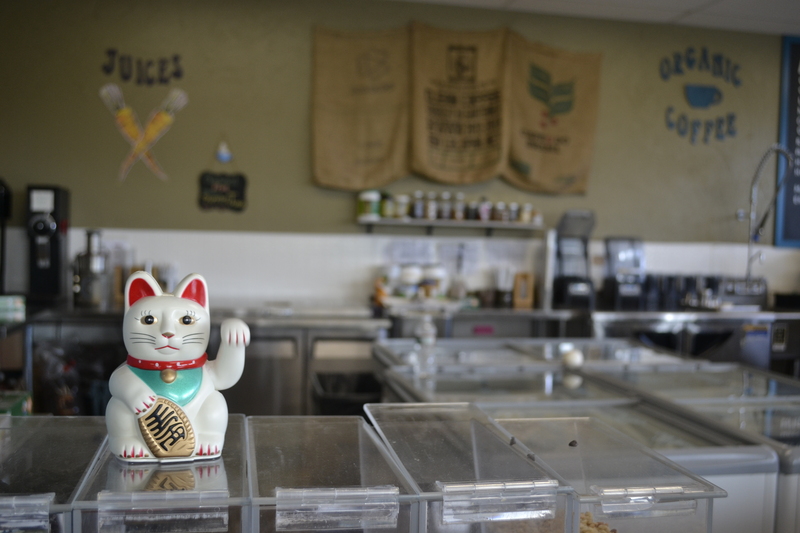 Haute Coffee in Concord (with a new location in Cambridge) makes real coffee for coffee lovers. 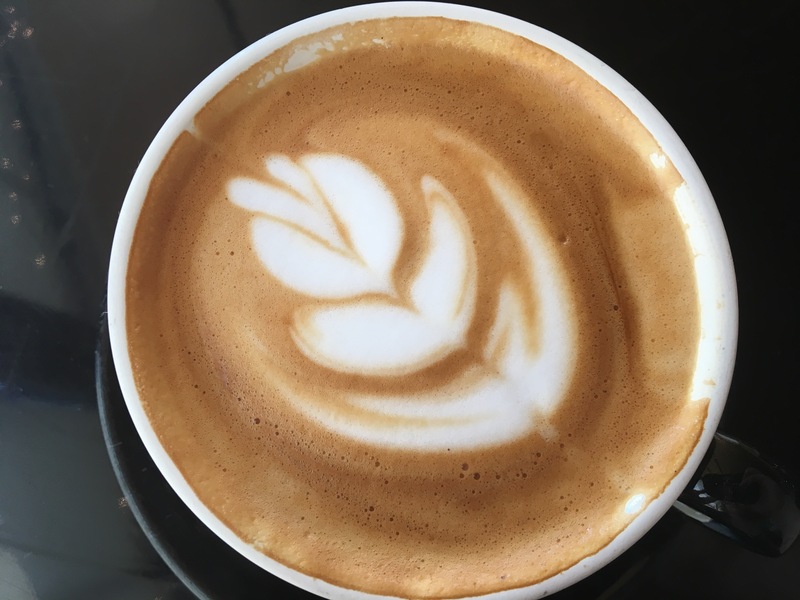 They’re dedicated to serving fresh, local and organic ingredients for only the most pleasant coffee-drinking experience—with a cute and comfy sitting room, too. This coffee shop is open seven days a week but when the weekend arrives, visitors get a side of jazz with their cappuccino and have the option of a wine bar and lighter fare for a swinging vibe after dark. With open mic nights every Wednesday and live music all weekend ranging from folk rock to jazz, the Riverwalk is a go-to hangout for Nashua locals. Stop in for the best breakfast in town and a cup o’ Joe roasted in-house. 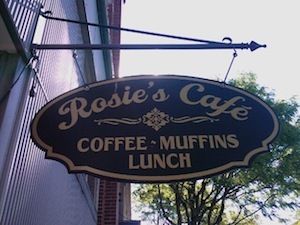 What sets Rosie’s apart from the rest? 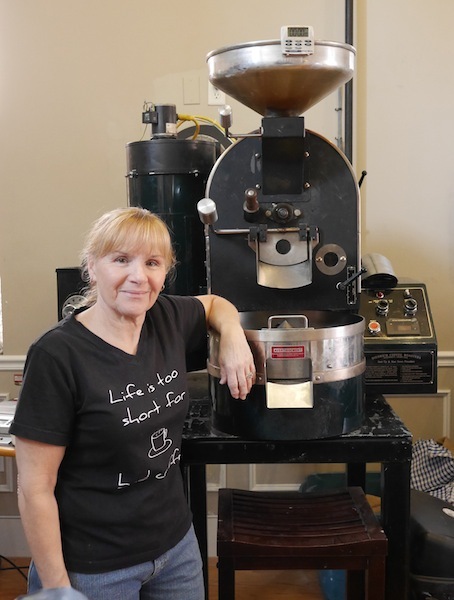 Perhaps the fact that the coffee beans are freshly roasted every morning in Rosie Suprenant’s own Diedrich coffee roaster. With 10 different roasts, 50 varieties of loose-leaf tea, and Rosie’s legendary carrot cake, there’s a reason this homey café has a strong local following.